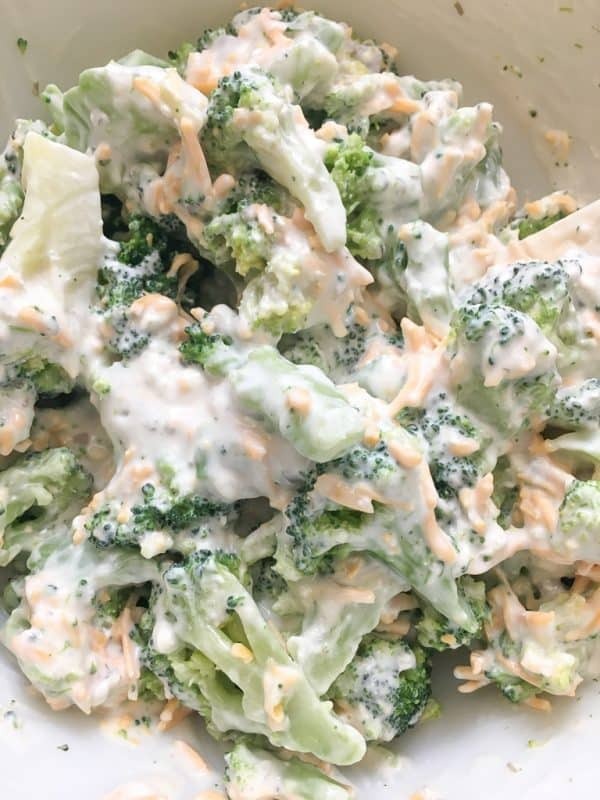 Broccoli Cheese Bake is an easy side dish recipe for families. 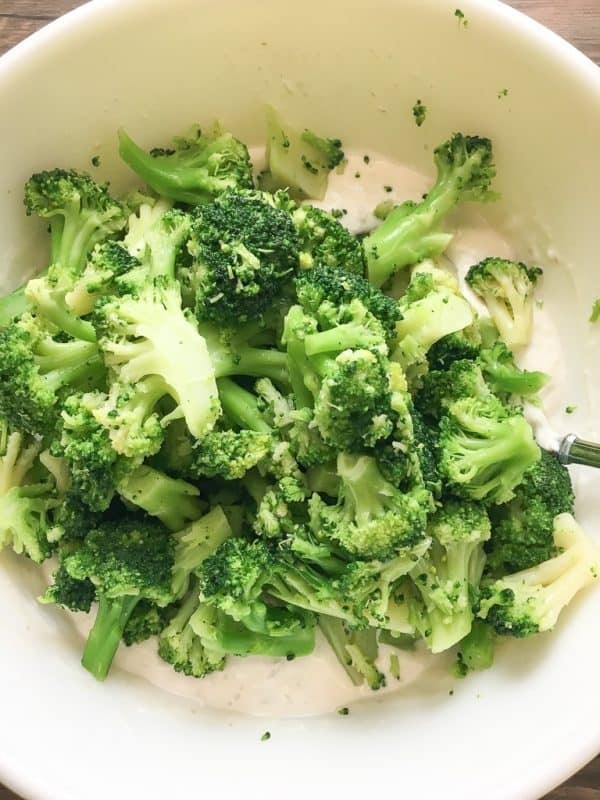 It’s a great way to get veggies into the kids. 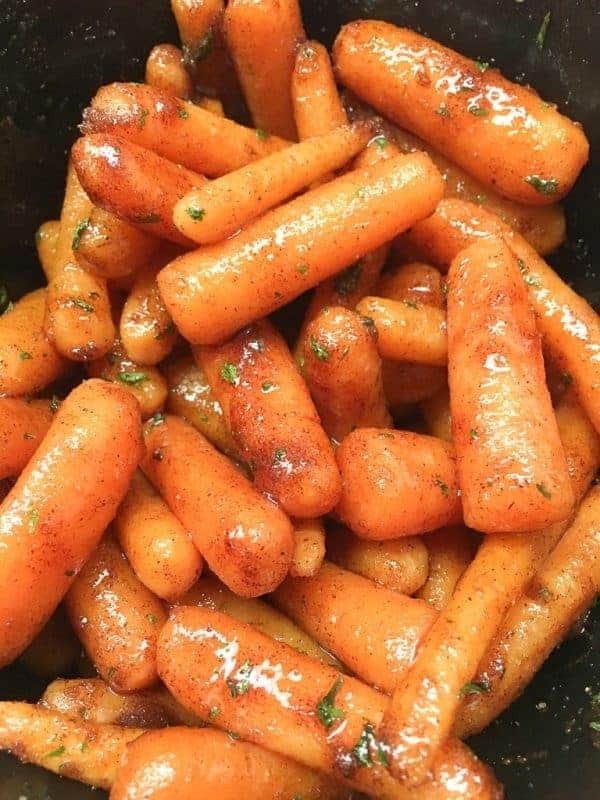 It’s also the perfect side dish for Easter, Christmas, Thanksgiving, or any holiday. 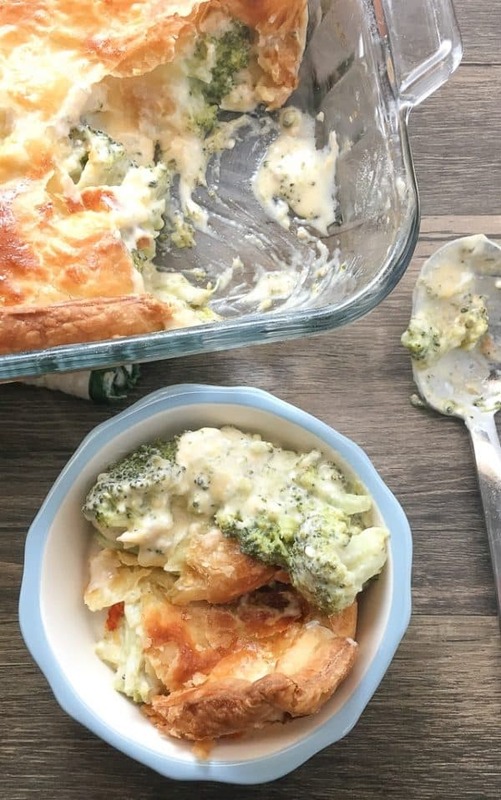 Broccoli Cheese Bake was a hit here the other night. The kids loved it and my husband gobbled it up. I like it because it’s easy to make, and it doesn’t take too long to cook. It’s a great side dish recipe for any meal, but also for holidays. With Easter right around the corner, I wanted to plan ahead and have dishes that didn’t force me to be in the kitchen all day. This is one of those dishes that is easy, quick, and turns out delicious. 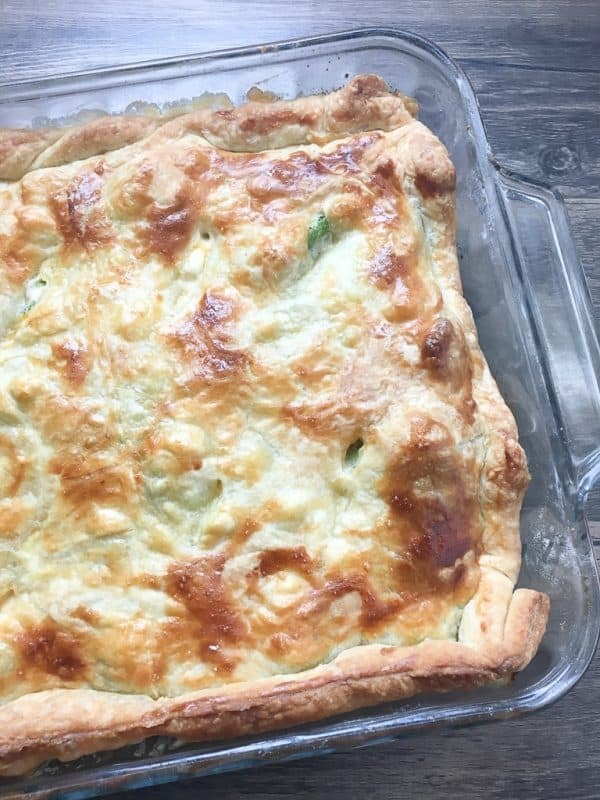 Before you get started, set your broccoli and puff pastry out on the counter to thaw. Give it about 20-30 minutes to thaw out enough to prepare the dish. If the puff pastry doesn’t thaw enough in that time, give it a little bit more time. It’s easy to try and unfold the pastry and break it if it’s still too frozen. 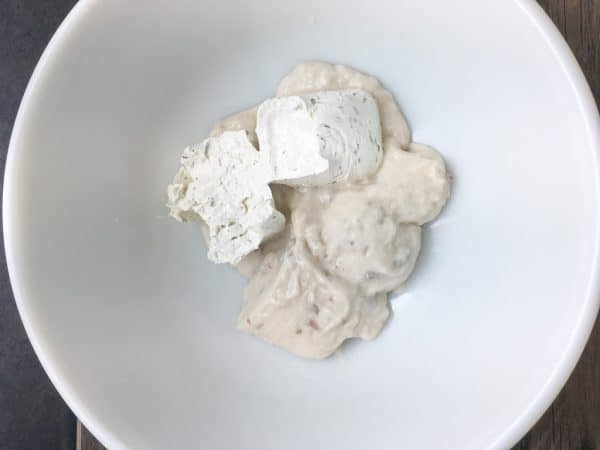 Add the can of cream of mushroom soup and cup of chive cream cheese to a large bowl. Mix the two together. Add the water and stir everything together. Add the two packages of thawed broccoli and mix it in well. Add the shredded cheddar cheese and give it another good stir. Once you have everything mixed together, add it to a greased casserole dish. 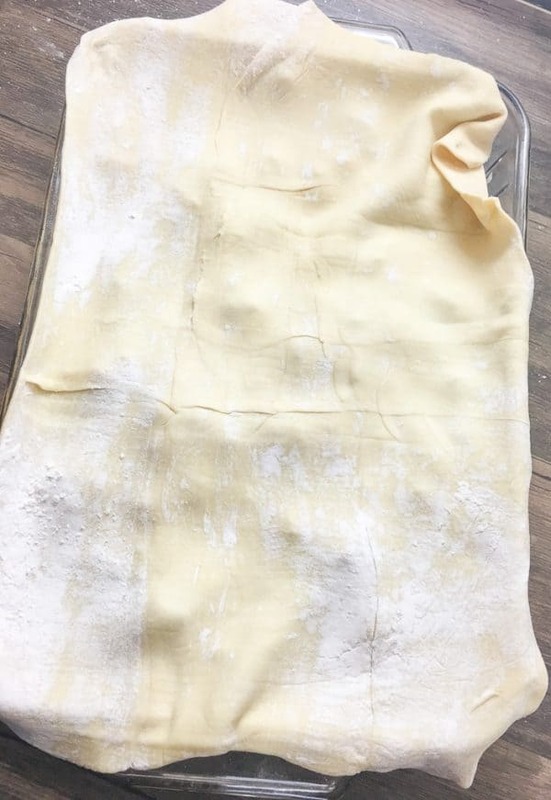 Throw a little flour down on the counter and roll out the thawed puff pastry large enough to cover your casserole dish. I used a 13″ x 9″ dish, but you can use a smaller one. 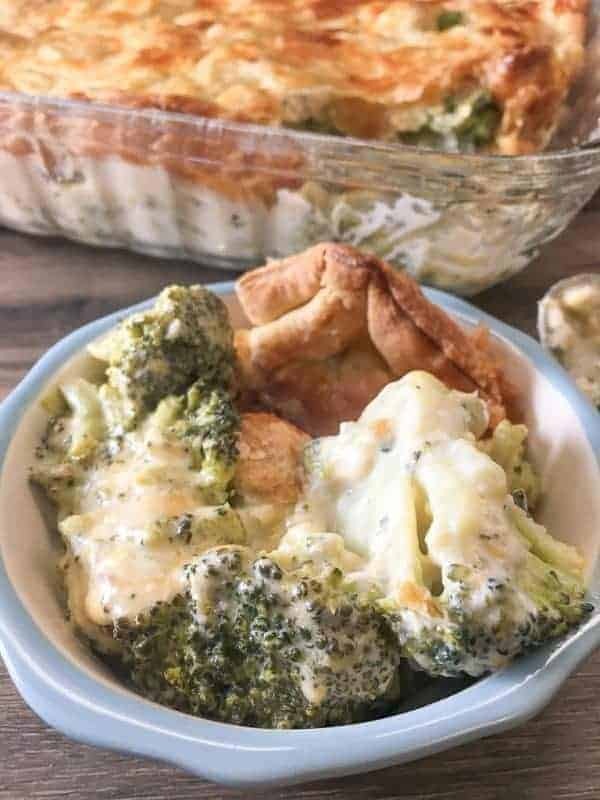 Place the puff pastry on top of the broccoli mixture. It’s not going to be the most beautiful thing when you put it on the top, but once it cooks, it will puff up a little and look prettier. Press the pastry against the edges to give it a little bit of a seal. You can kind of see how I pressed the puff pastry against the edges of the casserole dish in the picture below. Next, beat an egg and brush it over the top of the pastry. That will make it cook up so pretty and give it a little more of a shiny, crunchy texture. 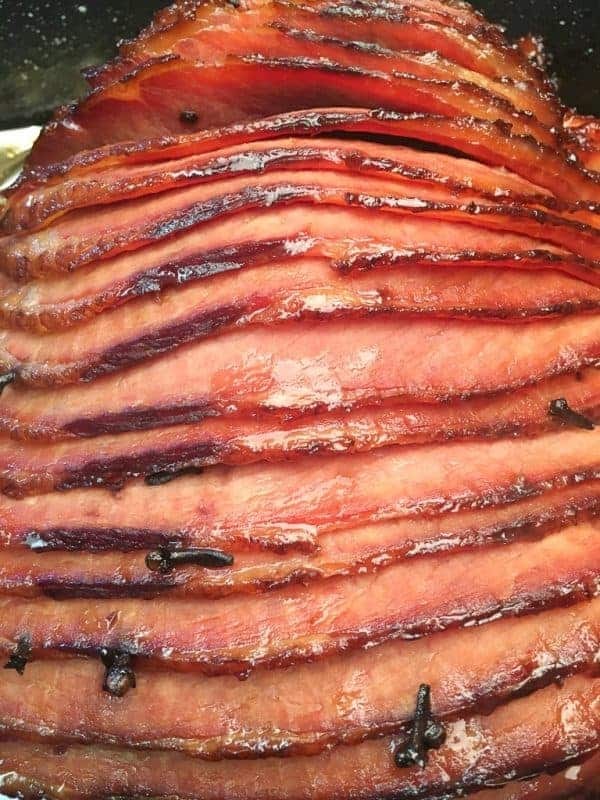 Poke a few small holes on the top, with a sharp knife, to let the steam escape while it cooks. Bake for 30 minutes at 400-degrees and you’ll get a gorgeous side dish that you can be proud of. NOTE: Set the broccoli and puff pastry out on the counter to thaw at least 30 minutes before starting to prepare dish. 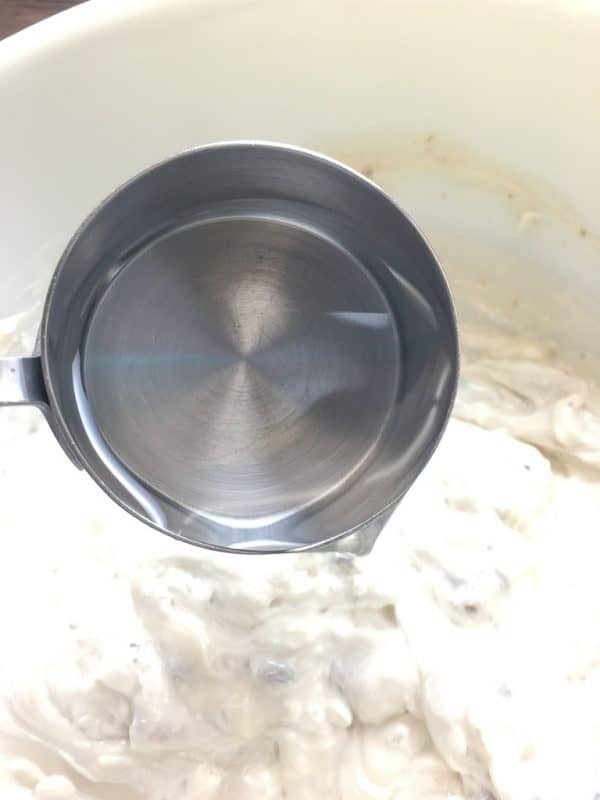 Add the condensed cream of mushroom soup and chive cream cheese to a large bowl. Add the water and mix everything together. 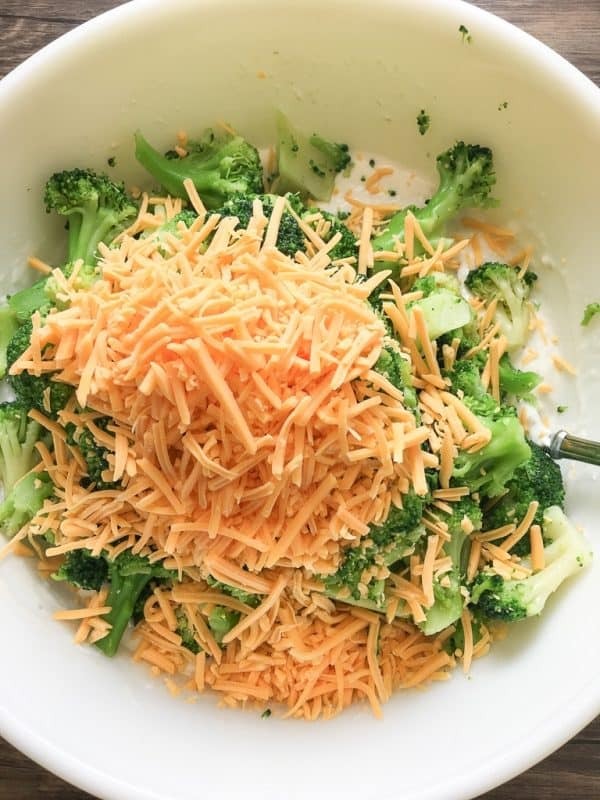 Add the broccoli and shredded cheese to the bowl and stir together. 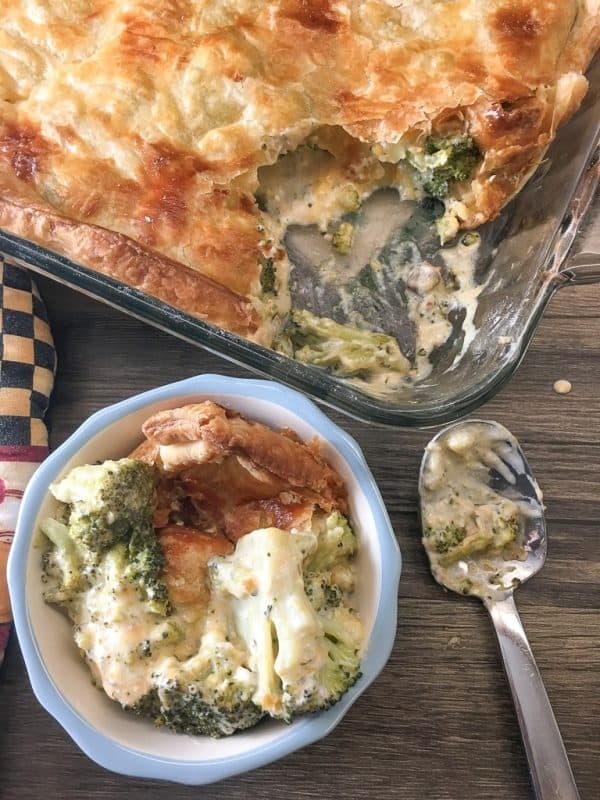 Sprinkle a little flour on the counter and roll out the puff pastry to fit over the broccoli mixture. 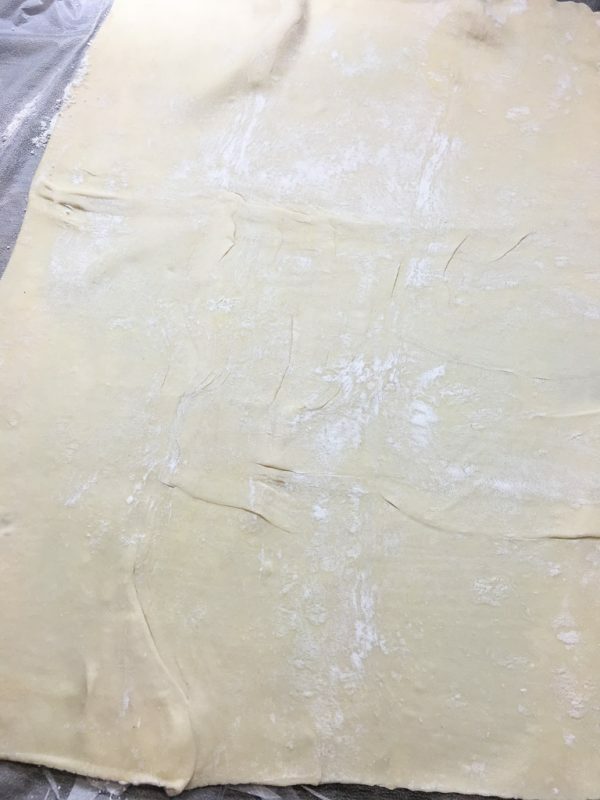 Press the puff pastry against the side of the dish. 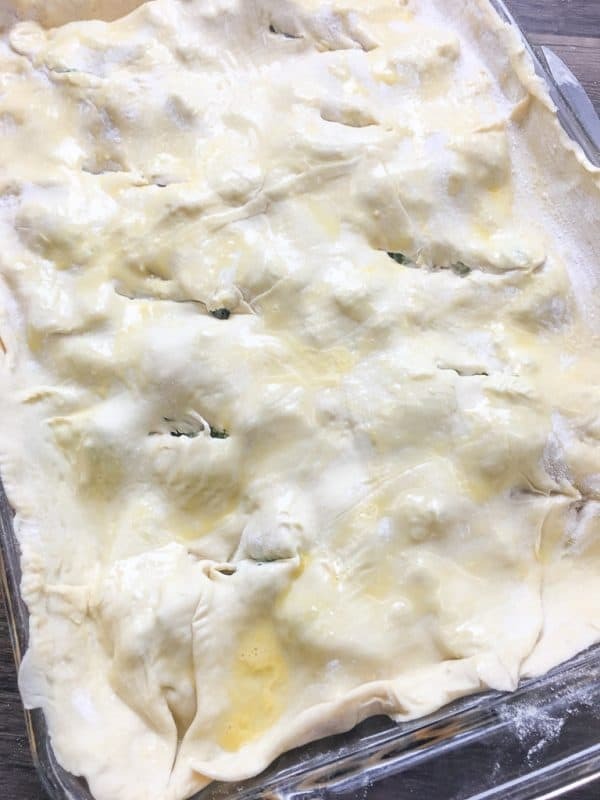 Cut several small holes into the puff pastry to allow steam to escape while cooking. Beat one egg and brush over the puff pastry. Cook for 30-minutes and remove from oven. 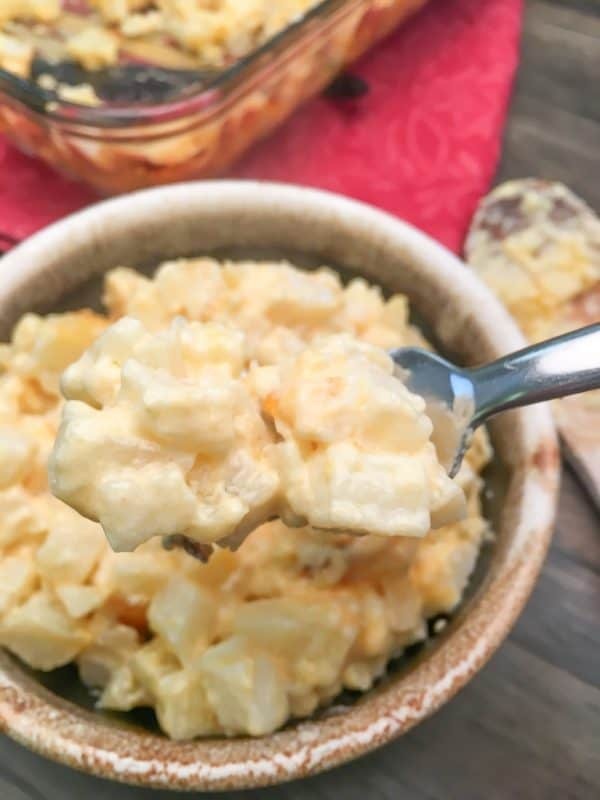 Sounds like a yummy and easy recipe to make around Easter when we already have a lot to make and prepare. Happy Easter! Hi Joanne! It saves a lot of time in the kitchen! Thanks for stopping by! Happy Easter to you, too!